The Major spoke of the conversation at the well , as something that would be a normal part of every day life at the time . People had to come to the well for water , maybe four times a day. 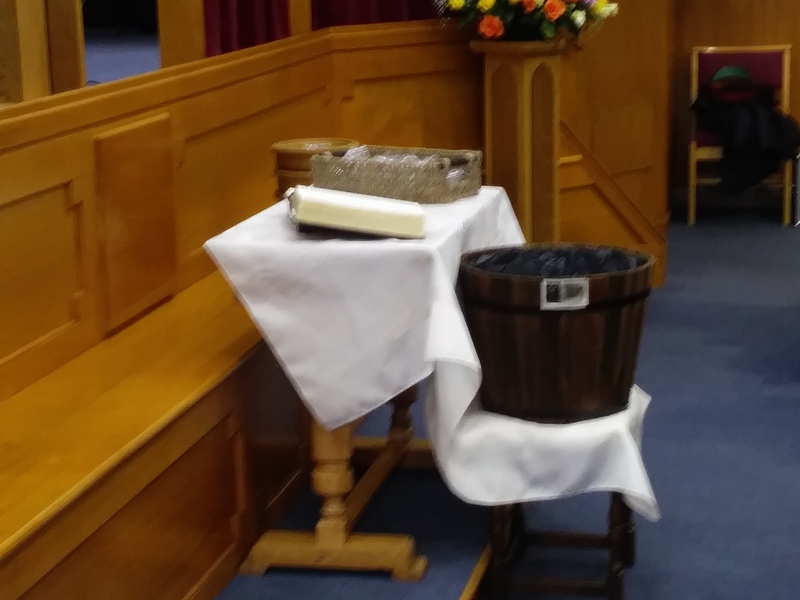 The Samaritan woman might not have picked up the message about ‘Living water ‘ , but she understood enough to call upon her neighbour’s, to “come and see the man who knew everything I have ever done” . Are we Spiritually Thirsty, even dehydrated ? 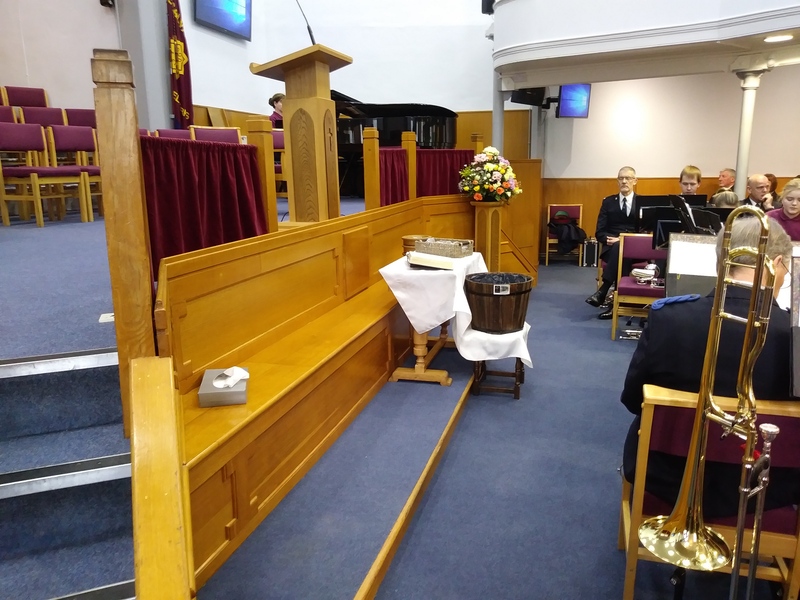 Thank you to our Pianist this morning, Kate Boughton , and thank you to the Band ( Led by Nigel Lockwood ) who, following the meeting, took their ministry down to the High street. Then I heard what sounded like a great multitude, like the roar of rushing waters and like loud peals of thunder, shouting: “Hallelujah! For our Lord God Almighty reigns. 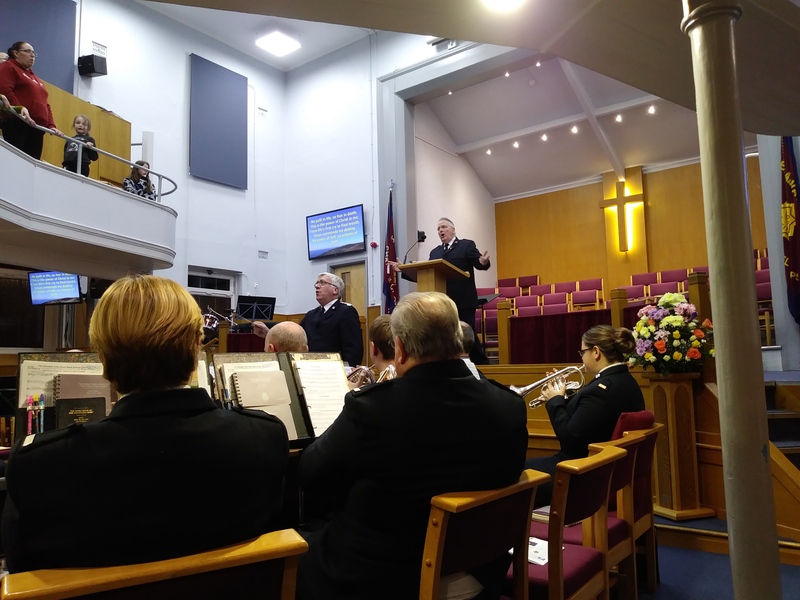 Charlie Gouyet – Olive Long – Peter Willard – Major Estelle Clack & John Mills all gave Testimonies . This entry was posted in Church Life, Mission, Monday Spot, Spiritual Life, Worship. Bookmark the permalink.